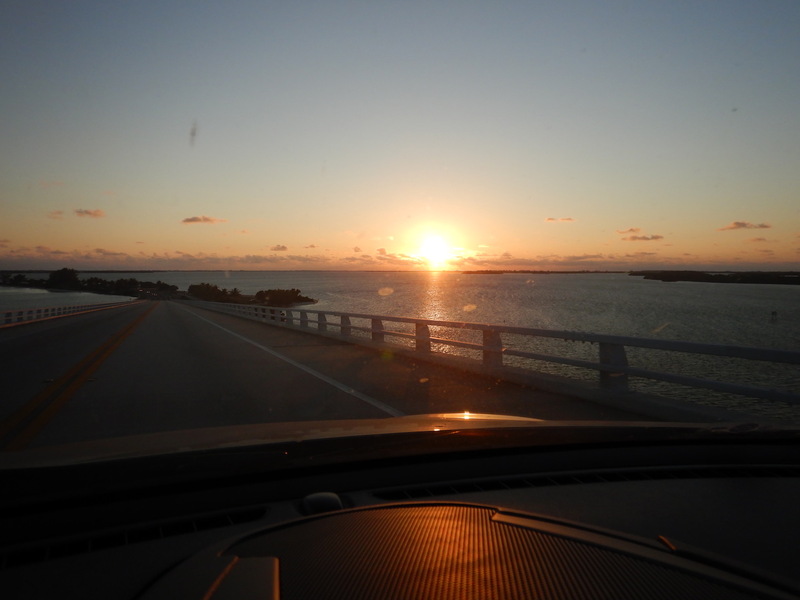 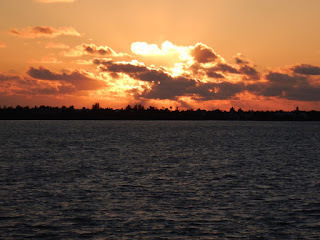 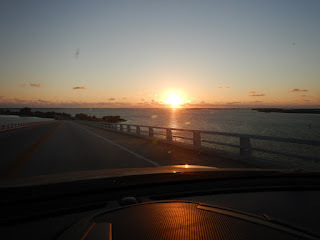 My time is growing short, as usual I'm trying to do as much as I can while I'm here in SW Florida! 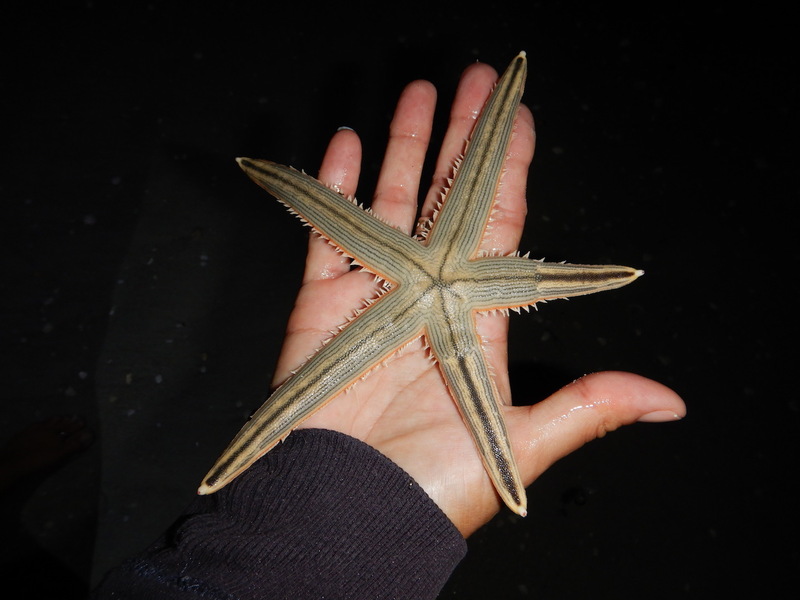 It just so happens that the tides are only offering one High and one Low tide per day. 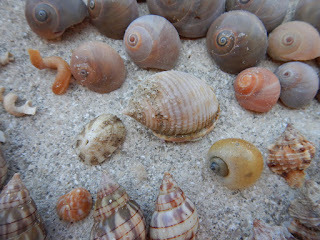 The Low is late so being the Avid shellers we are (I know many of you have another word for that!) 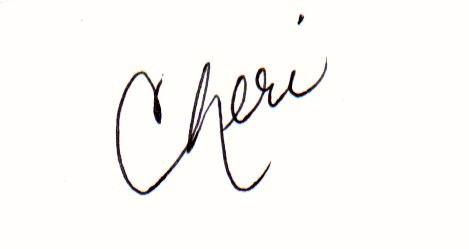 Team Cheri has to check it out! 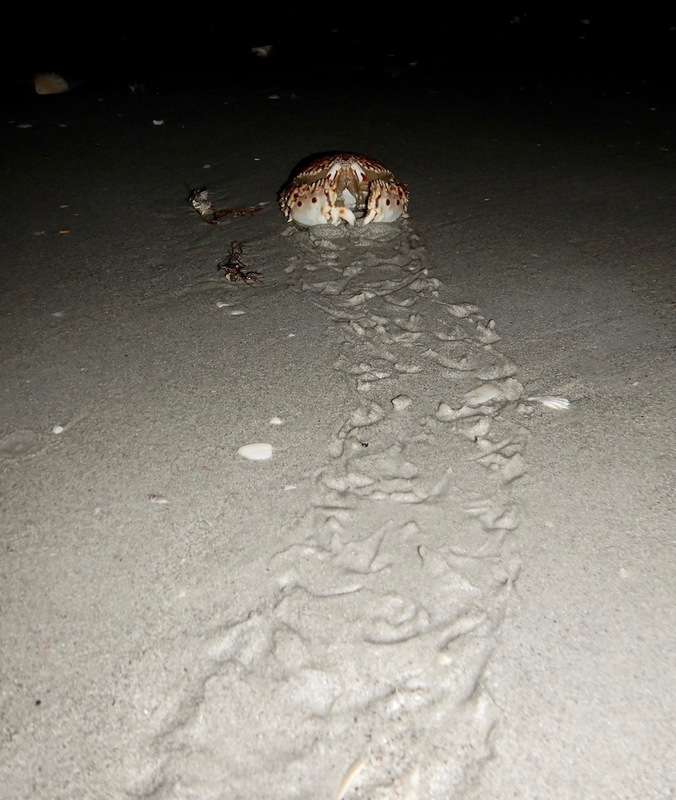 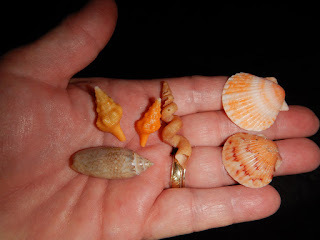 The tides are not super low, but we still need to see....right? And I will never pass a chance for a beach walk! 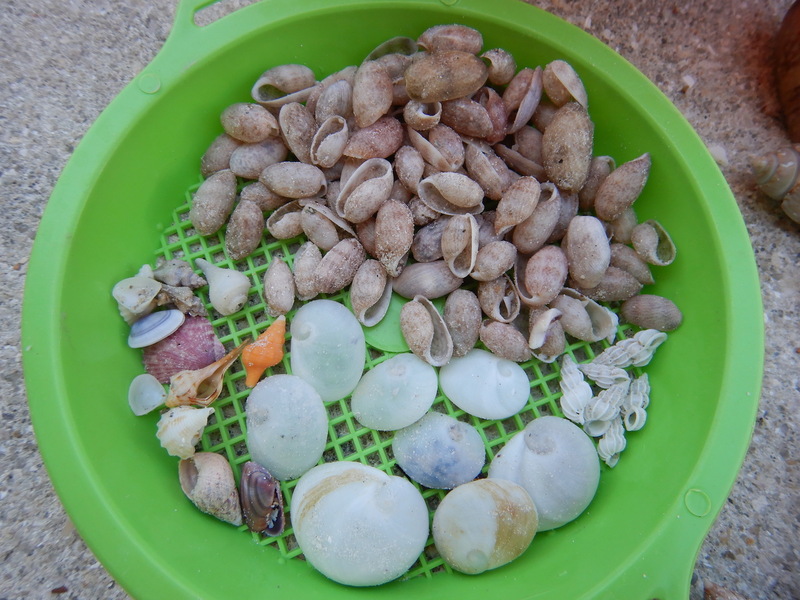 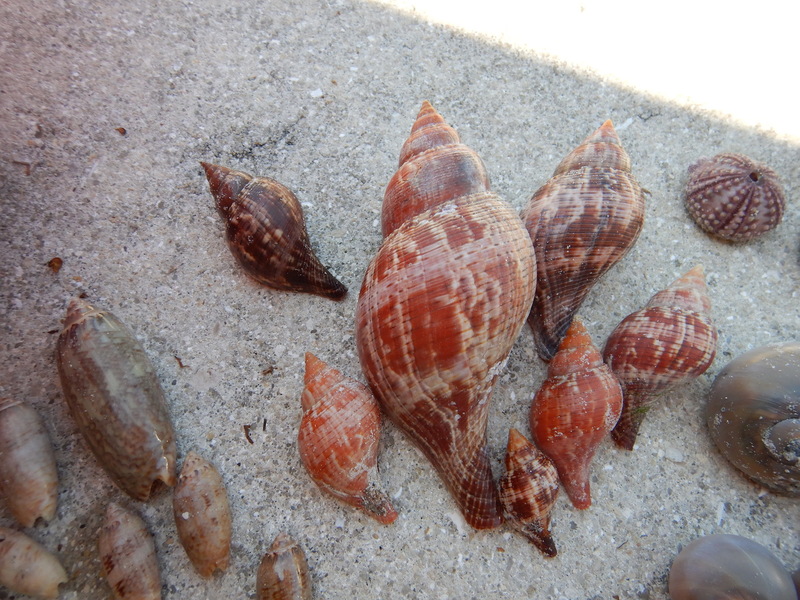 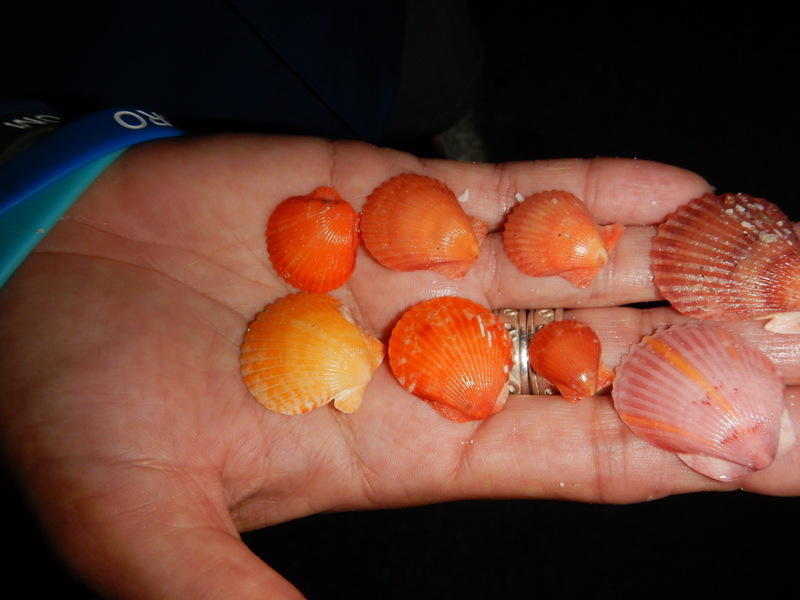 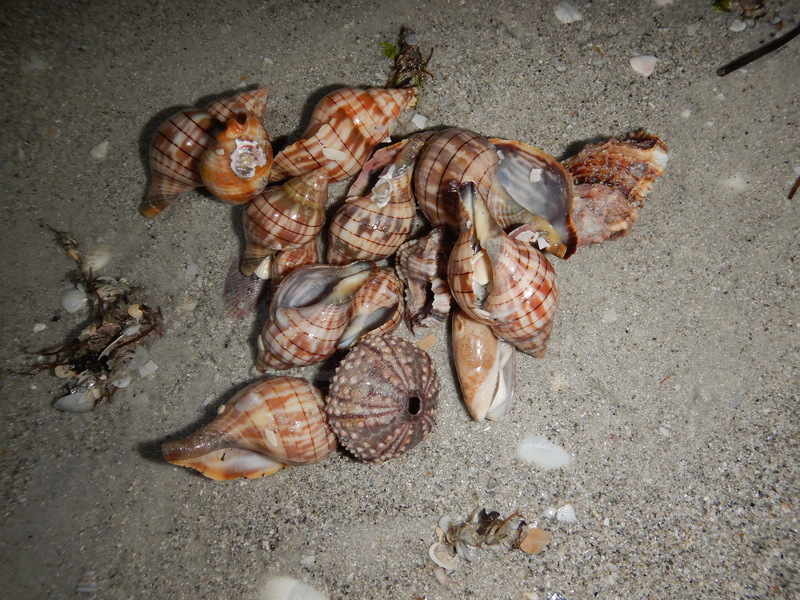 Lightning Whelks of all sizes...even larger ones!! Then we started seeing True Tulips!!! 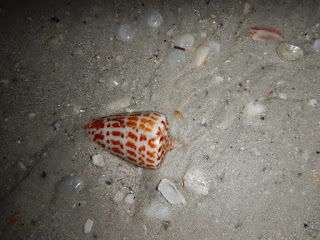 Then Cheri picked this one up!.....Even more Beautiful, and HUGE! 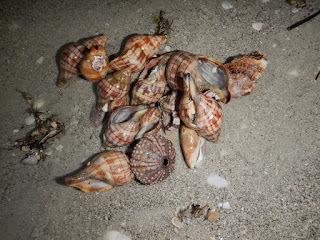 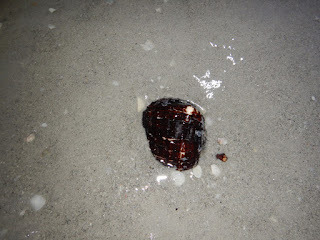 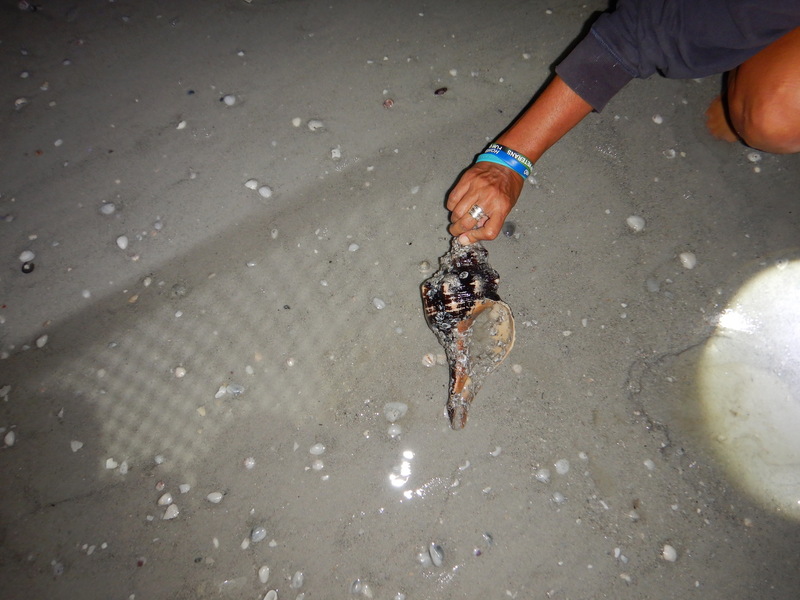 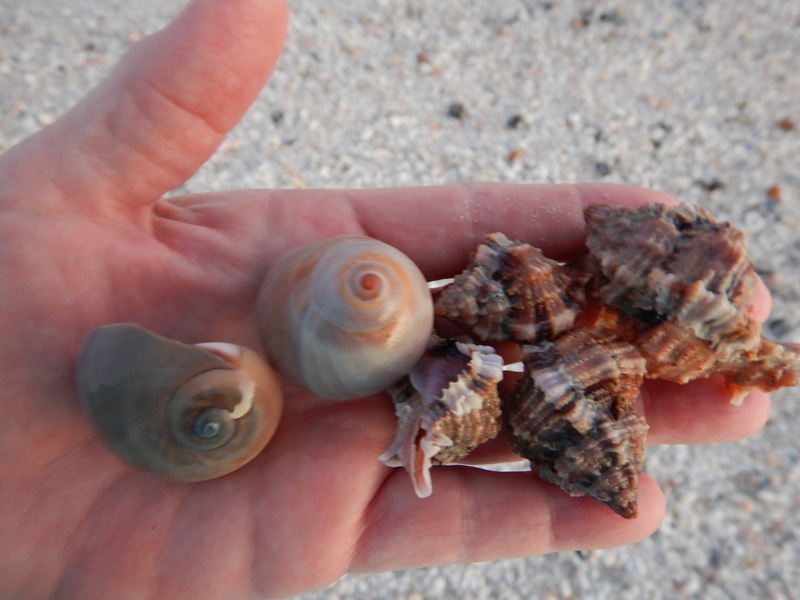 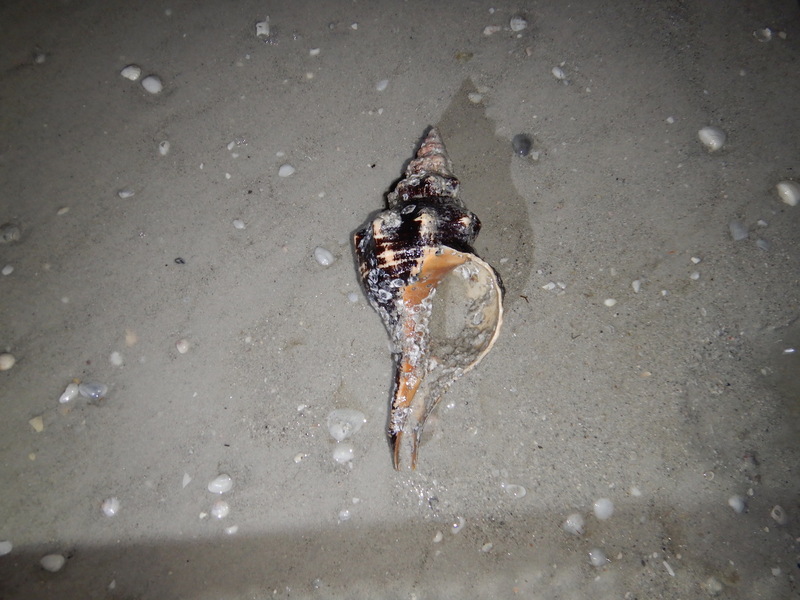 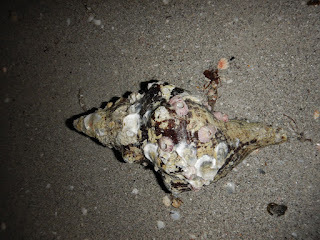 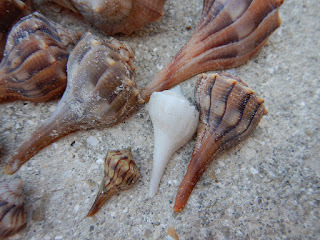 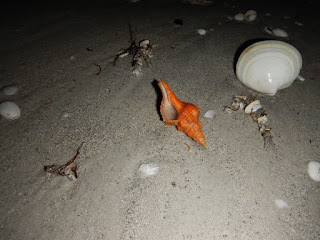 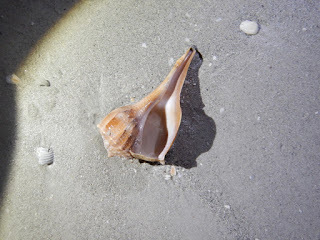 Then came the Horse Conchs.....Big Ones.. 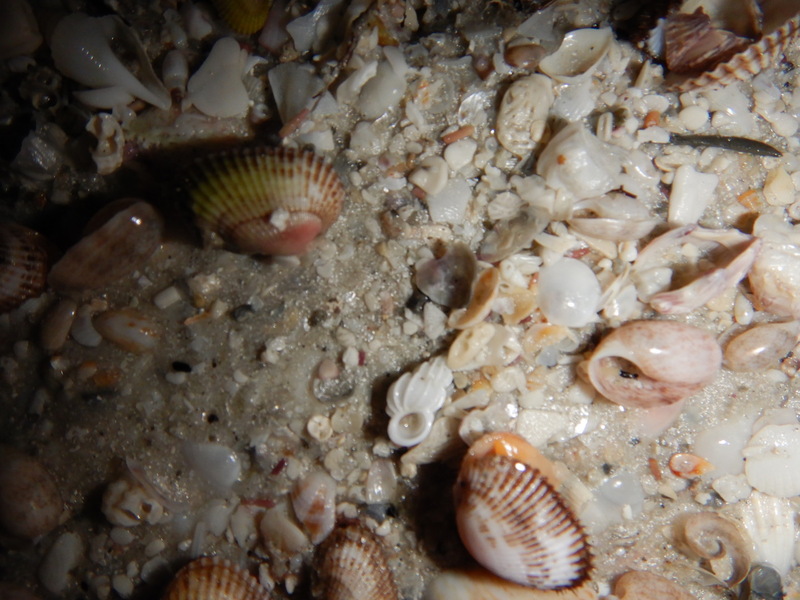 Buried under the sand....see those knobs?? 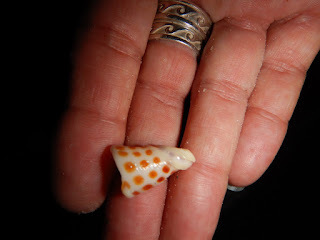 Cheri found this Helmet piece....we wish it had been complete! 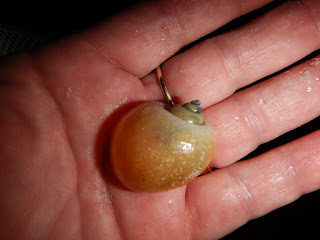 I found this amazing Olive!!! 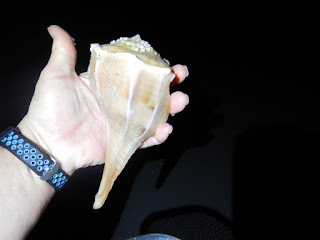 .....it's HUGE and perfect! 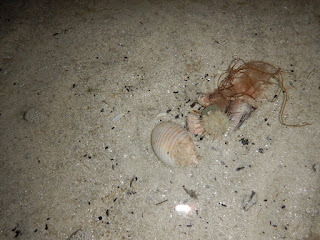 I even found Bubbles and some Wentletraps....in the dark...see it? 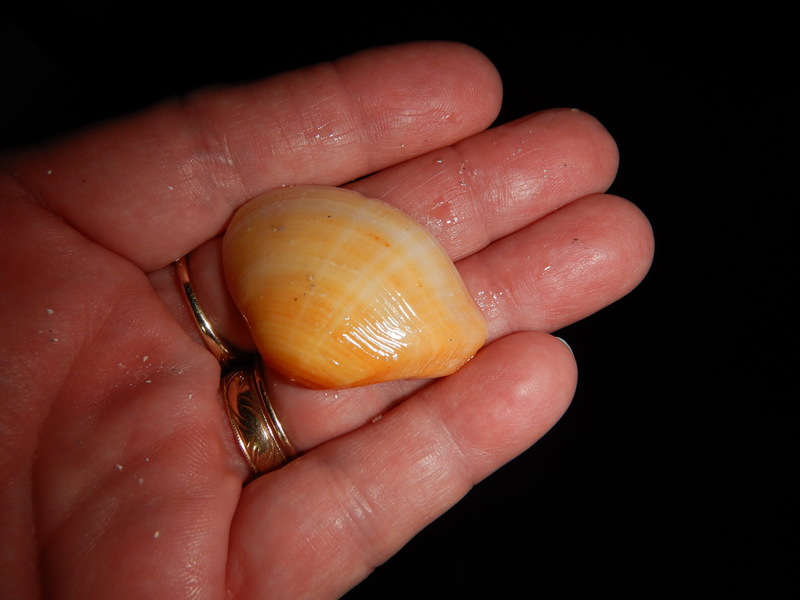 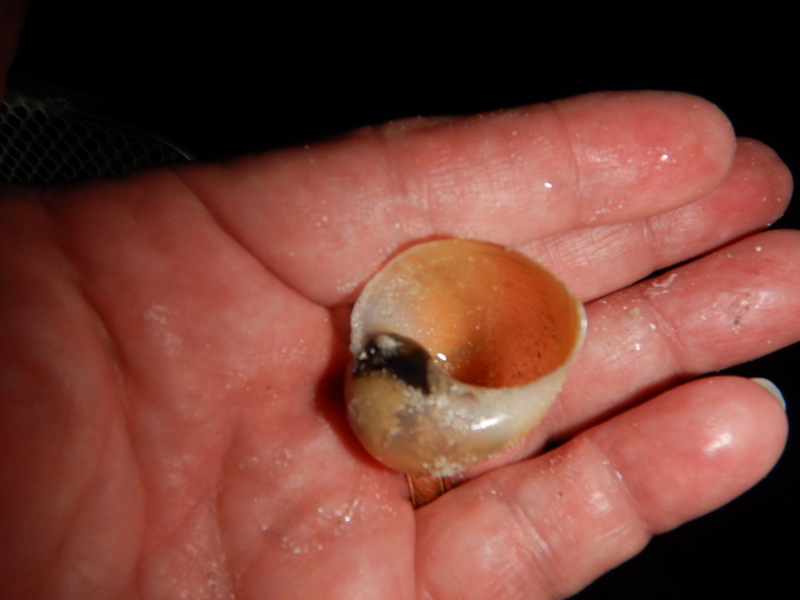 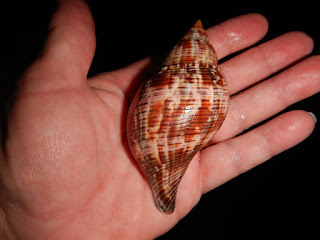 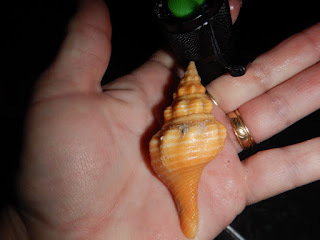 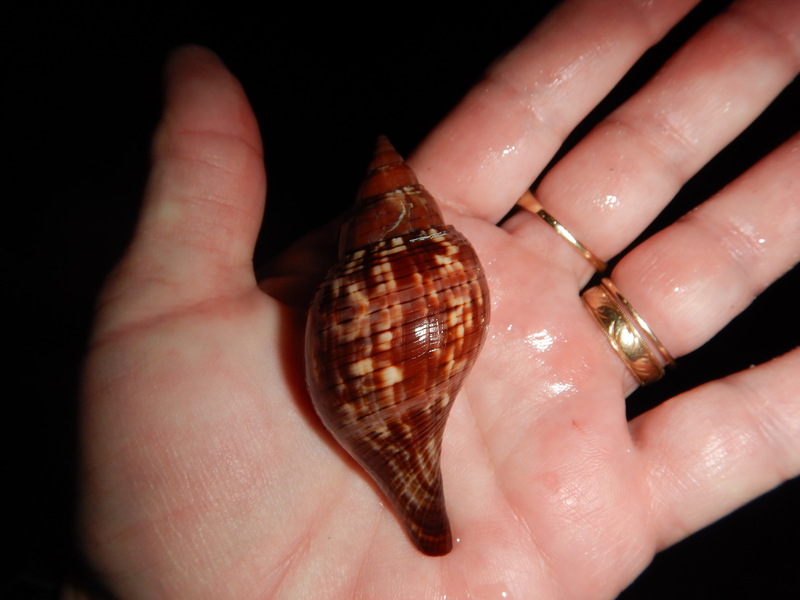 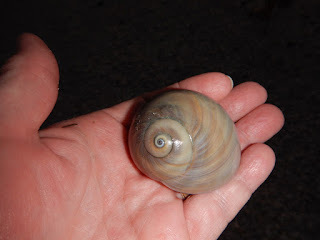 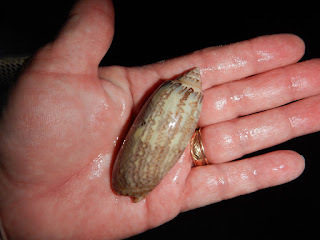 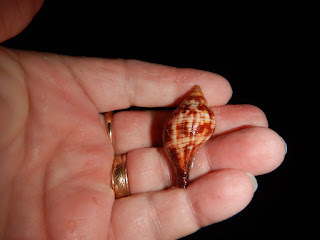 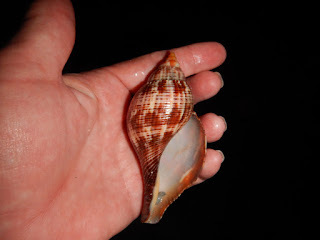 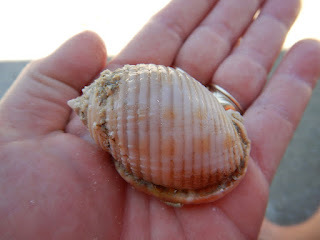 I found what I think is an Apple Snail (freshwater) at the Lighthouse! 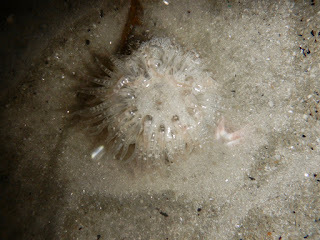 It's hard to tell in the picture, but it's nearly transparent. 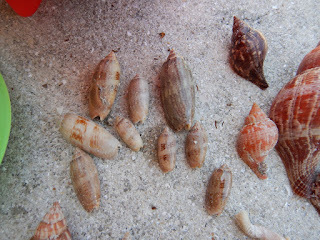 Look how fast these guys move!! 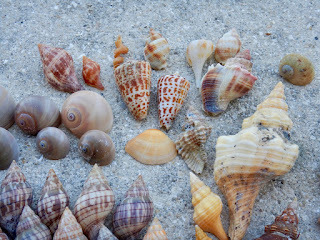 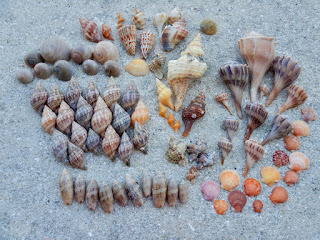 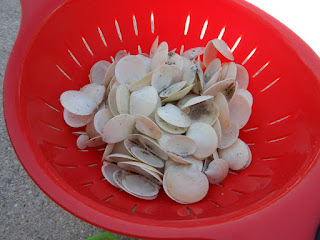 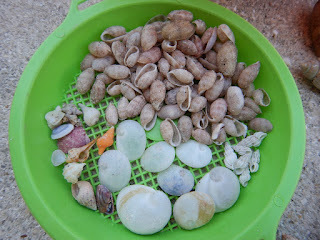 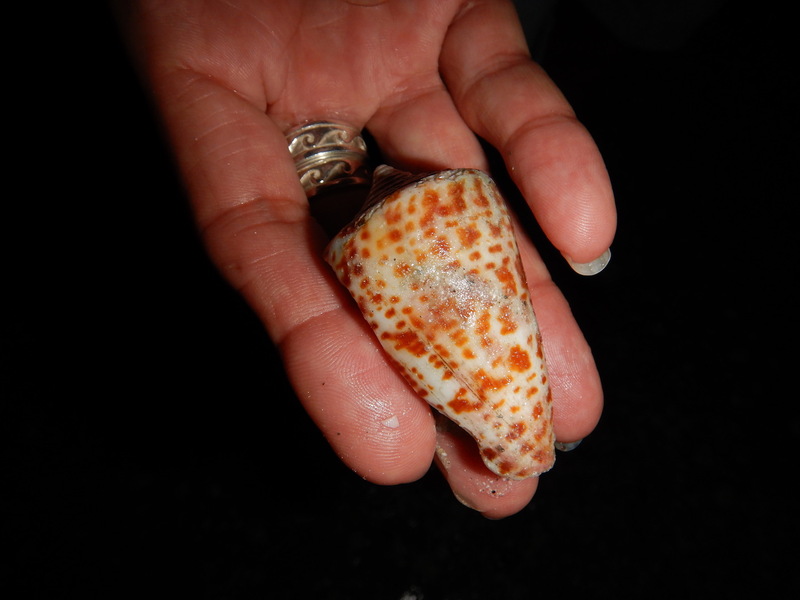 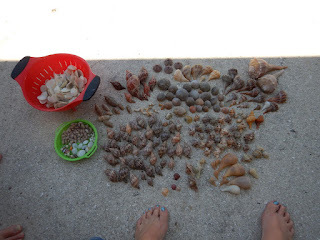 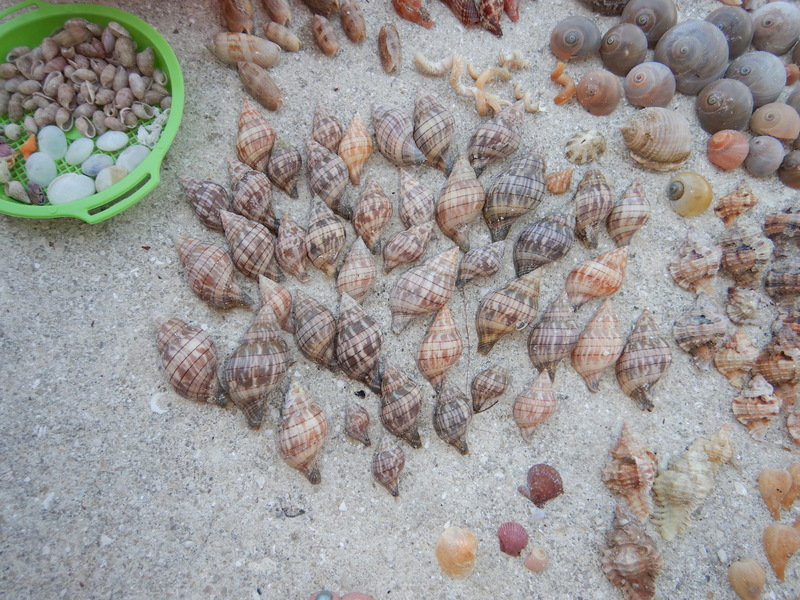 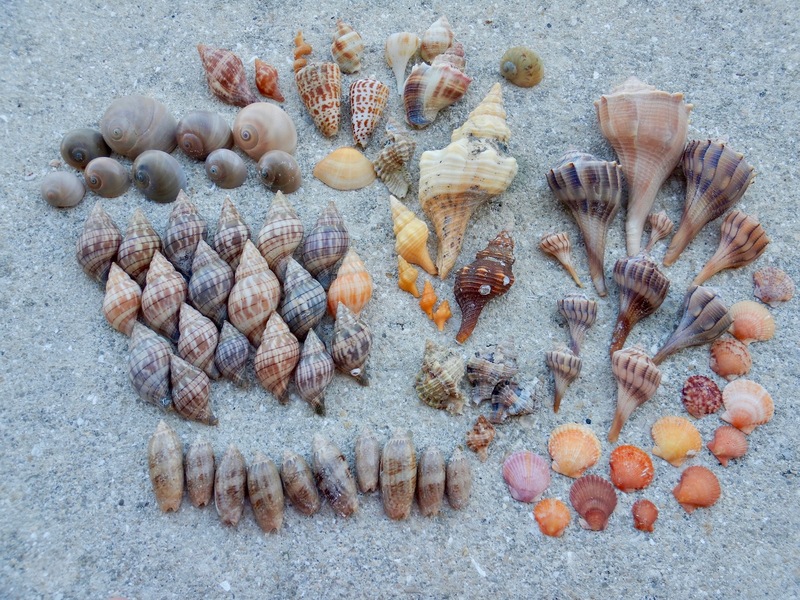 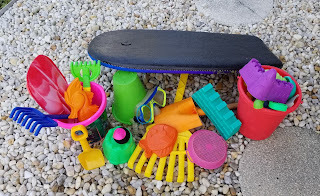 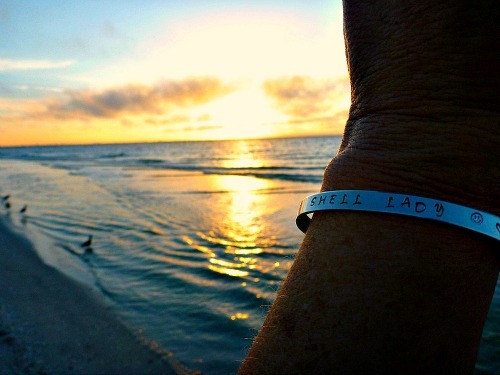 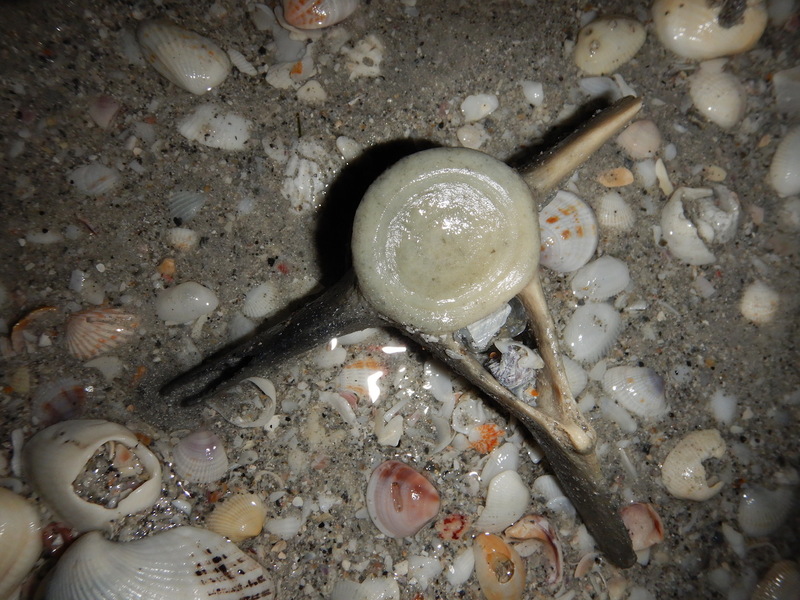 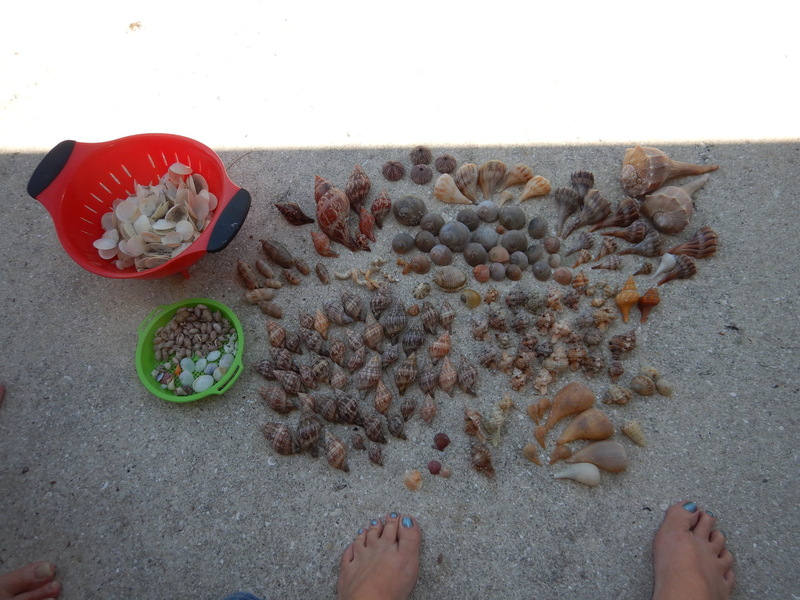 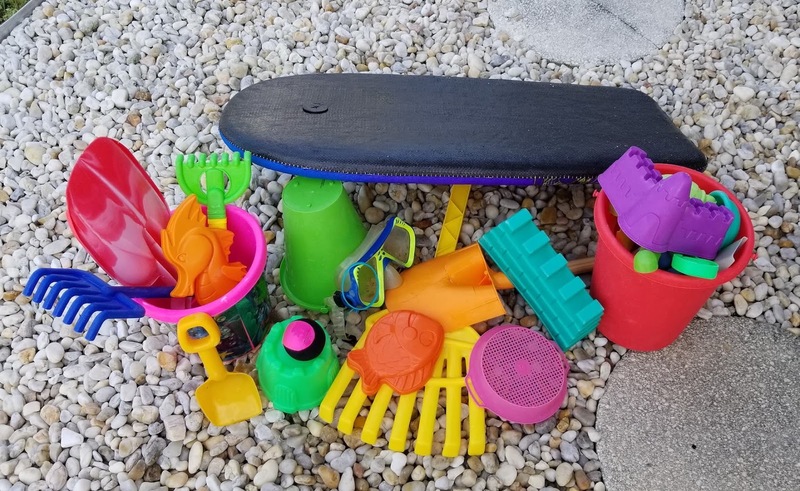 Here are the final finds for the night....turns out I got many 'friend shells' from Cheri! 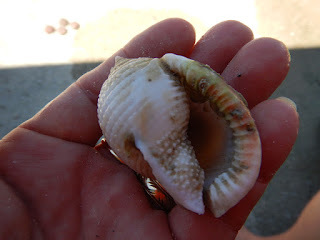 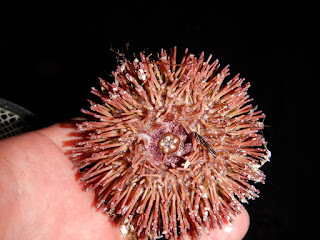 A HUGE Keyhole Limpet, Easter Bonnet and Apple Snail? Lots of Small Dosinias for Flower making! 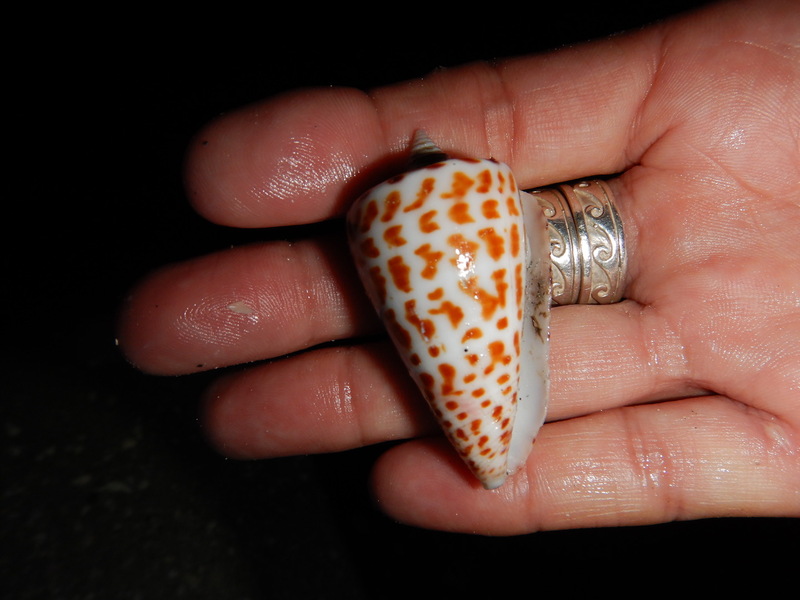 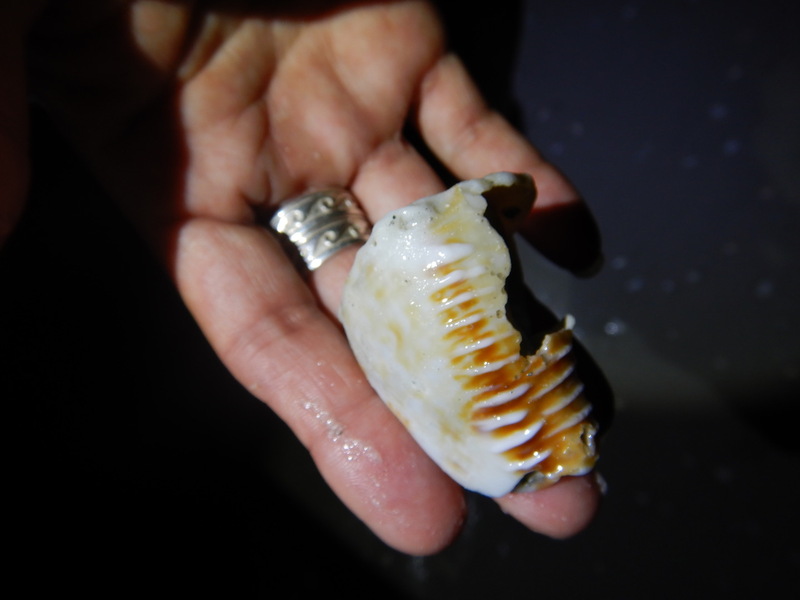 Is that an Albino Lightning Whelk, I think so!